Arrive in Kathmandu, the storied capital of Nepal. For centuries the city has been a center of religious art and architecture in both Hindu and Buddhist traditions and is renowned for its ancient temples and urban squares. This evening we gather at Dwarika's, our heritage lodging evocative of the palaces of Newar kings, where we'll enjoy a welcome dinner among artifacts dating back to the 14th century. 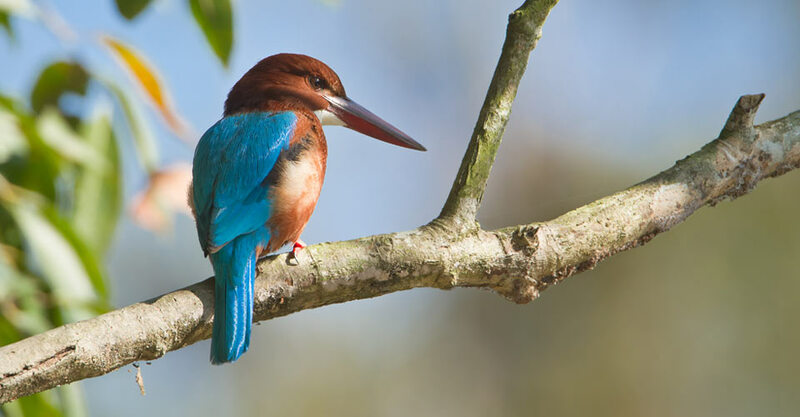 Fly this morning to Bharatpur on the Terai plains of southern Nepal and transfer to our luxury ecolodge, Meghauli Serai, where we spend the next three nights. This serene safari base is ideally situated on the edge of the Rapti River near Chitwan National Park in the largest area of undisturbed wilderness along the base of the Himalaya. Its location is the best in the Chitwan region for wildlife viewing, which we take full advantage of during our stay. The area surrounding the lodge has a high sighting rate for one-horned rhinoceros, crocodile and gharial. 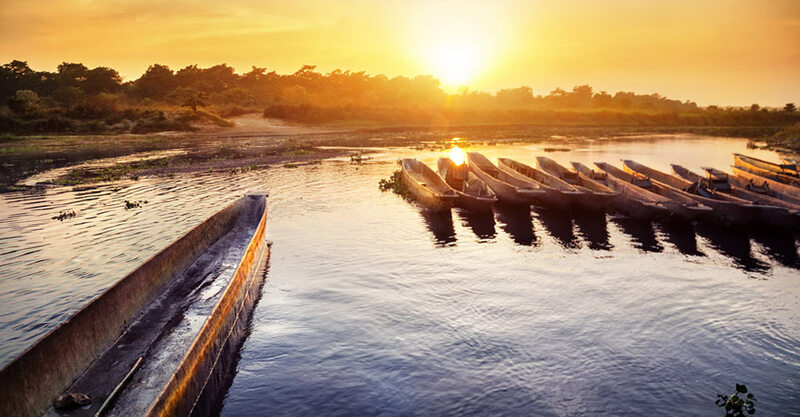 Chitwan National Park, established in 1973, is Nepal’s first national park and was granted World Heritage Site status by UNESCO in 1984. It covers 360 square miles of subtropical lowlands and is home to about 50 species of mammals and more than 500 species of birds. We spend our days exploring the park on 4x4 safari drives and guided nature walks, hoping for views of the park's most famous wild residents. 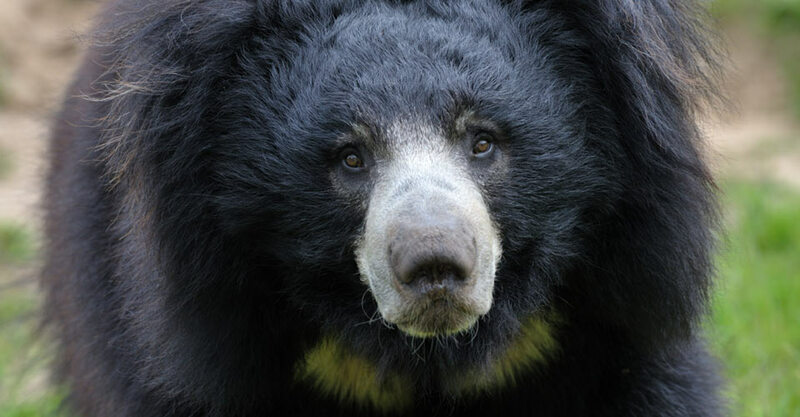 While sightings are never guaranteed, we have good chances to observe rhinoceros, wild Asian elephant, crocodile, leopard, sloth bear, sambar deer, wild boar, monkeys and jungle fowl all in their natural habitat. River safaris can also be arranged. A chance to track tigers in the park is a special highlight, as we walk with our Expedition Leader and a local guide in search of footprints and pugmarks that mark the tigers' presence. Return to Bharatpur airport this morning for our flight back to Kathmandu. On arrival we head off on an afternoon tour of some of the renowned cultural sites in the Kathmandu Valley that have earned the region UNESCO World Heritage status. Our sightseeing itinerary includes the ancient Newar city of Bhaktapur, once a kingdom in its own right. Its old city center and famous Durbar Square, fronting the original royal palace, boasts the best-preserved palace courtyards in Nepal, noted for their intricate pagoda-style temples and renowned artworks of wood, metal and stone. We also visit the vibrant Tibetan Buddhist enclave of Boudhanath. The white-domed stupa that dominates the skyline here is the largest in Nepal and a sacred pilgrimage site for Tibetan Buddhists from around the world. 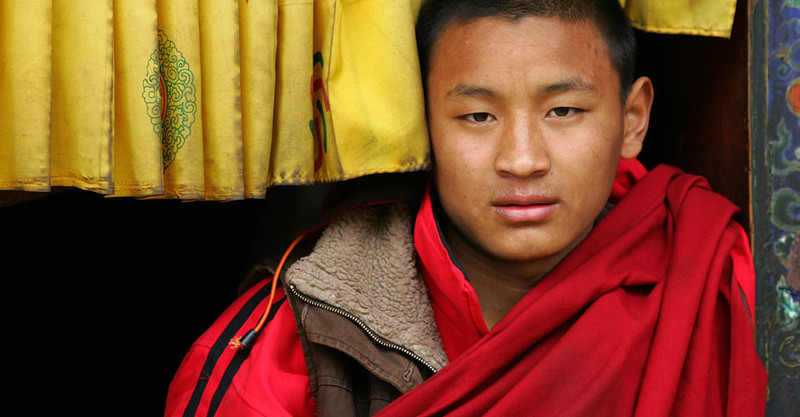 Fly this morning to the “Land of the Thunder Dragon”—the tiny Himalayan kingdom of Bhutan. If the skies are clear on our flight to Paro, we'll see the highest peaks on the planet visible below in a serrated white spine, setting a striking backdrop as we approach the green trough of the Paro Valley. 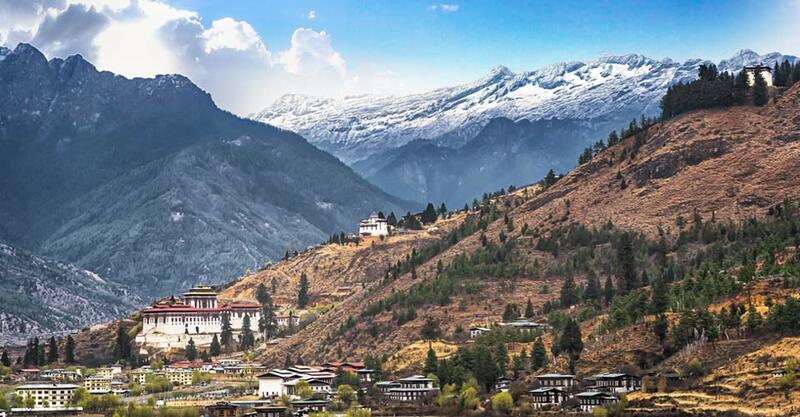 Rich in culture, lush in scenic beauty, and steeped in history and legend, Paro offers a bucolic welcome to the kingdom. From Paro we drive to Thimphu, Bhutan’s idyllic capital and a stronghold of traditional Bhutanese art, architecture and culture. Surrounded by mountains and monasteries, this seat of government and commerce on the Wang Chuu River is a harmonious mix of modern development and ancient traditions, and the only national capital without traffic lights. After we check in to our hotel, we’ll visit Thimphu Dzong late this afternoon. This striking Buddhist monastery and fortress was built in the 13th century, reconstructed over the years, and has served as the office of the king and seat of civil government for the country since 1952. Our day begins with a visit to the capital's new Buddha statue, one of the tallest in the world at 170 feet. Now fully completed, the statue houses more than 100,000 smaller Buddha statues inside, each made of bronze and gilded in gold like the larger icon. Afterward, depending on time and interest, we may have opportunities to visit a handicraft emporium, a handmade paper factory, the National Library and/or the Folk Heritage Museum. After lunch, continue to the Motithang Takin Preserve on the edge of the city. 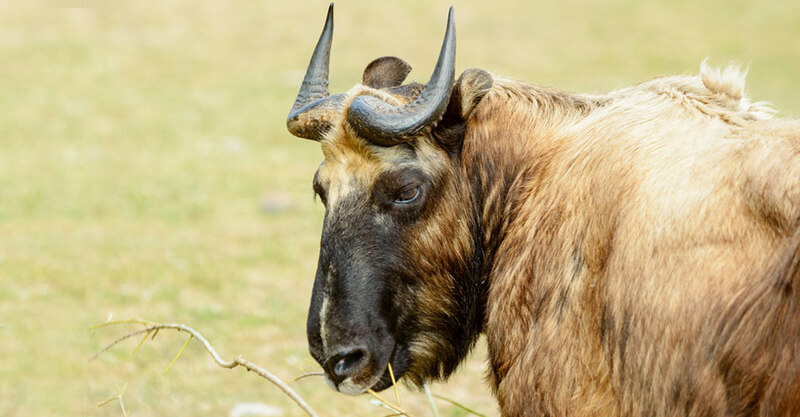 The takin, a large, shaggy hoofed mammal closely related to the muskox, is the national animal of Bhutan, so designated due to its prominent place in a popular Bhutanese myth from the 15th century. The preserve is also home to a few sambar and barking deer. On a hike through verdant meadows near the preserve, enjoy the colorful prayer flags that flutter from nearby homes and small temples. En route to Punakha we cross Dochula Pass, a 10,000-foot saddle marked by 108 chortens, fluttering prayer flags and a panorama of the entire eastern Himalaya. The road drops dramatically into the Punakha Valley, descending through evergreen oak and rhododendron forests into fertile lowlands lush with rice, oranges, bananas and guavas. Punakha is the former capital of Bhutan and the winter residence of the monastic body. After lunch at a traditional local restaurant, set off for a short hike to Chimi Lhakhang Temple, a small shrine dedicated to one of Bhutan’s favorite saints, the 15th-century Lama Drukpa Kunley. A rag-clad lotharian who used humor, songs and outrageous behavior to dramatize his teachings, he became known as the "Divine Madman" and is still beloved as such today. The peace of the Bhutanese landscape is palpable as our path to the temple ambles through green pastures and rice paddies, passing farmers and livestock in the terraced fields. This morning we visit Khamsun Yuelley Namgyal Chorten, a temple dedicated to the well-being of the kingdom, its people and all sentient beings. 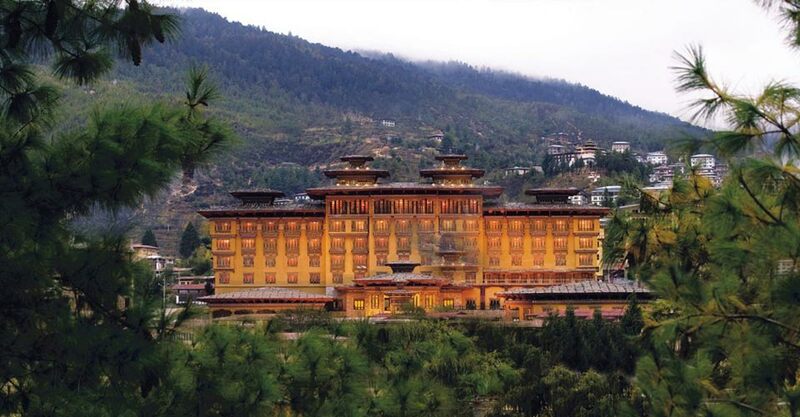 Built atop a high ridge, the temple offers magnificent views of the Punakha Valley. After a picnic lunch, explore the massive Punakha Dzong, known as the "Palace of Great Happiness." 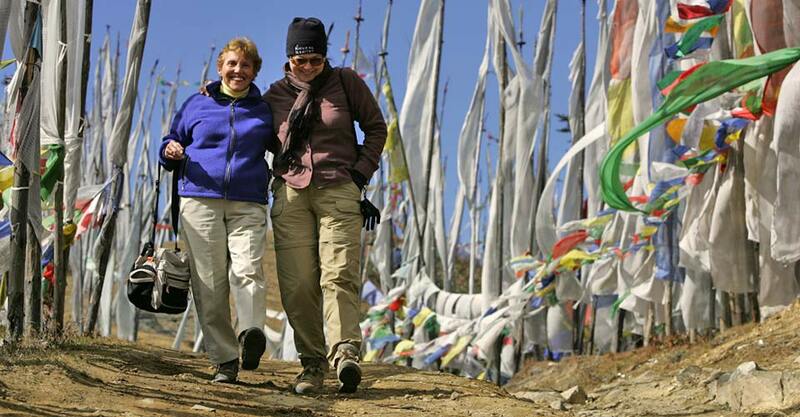 Straddling the confluence of the Po (Father) and Mo (Mother) rivers, the monastery is Bhutan’s best-known fortress. Built in 1637, it was the seat of government until 1955 and home to Bhutan’s religious establishment. The palace occupies one of the most scenic dzong sites in Bhutan; maroon-robed monks and guests must cross a wooden footbridge over the river to reach it. A half-day drive returns us to Paro. Situated in the mountainous northwest of Bhutan, the Paro Valley is rich in scenic beauty and culture, abounding with myths and legends. At the National Museum, a repository of more than 3,000 works of Bhutanese art housed in a renovated 17th-century round watchtower overlooking the city, view the collection that includes precious bronze statues, thangka paintings, musical instruments, clothing and handicrafts that cover more than 1,500 years of Bhutan's cultural heritage. Later, we visit a local farmhouse where we'll participate in a traditional archery lesson. Archery is the national sport of the kingdom, and tournaments and competitions are held throughout the country, often during public holidays and local festivals called tsechu. Though archery historically is a martial art, it is practiced by the peace-loving Bhutanese for physical exercise and to build concentration. Our final morning in Bhutan holds a most impressive sight: famous Taktsang Monastery, also known as the “Tiger’s Nest.” The subject of many photographs, this complex of 17th-century temples clings to the side of a precipitous cliff nearly 3,000 feet above the valley floor. Its name is derived from myth, which holds that Guru Rinpoche, the tantric mystic who brought Buddhism from India to Bhutan in the eighth century, landed here on the back of a flying tigress and stayed to meditate in a cave for three months. Gain an initial vista as we hike to a viewpoint opposite the monastery, though those who choose to hike the entire way will have their effort well rewarded with unsurpassed views of the temples, surrounding peaks and valley below. This afternoon, visit the revered Kyichu Lhakhang, one of the oldest and most sacred temples in Bhutan. The temple is one of 108 built across the Himalayas in the 7th century by the Tibetan emperor Songtsen Gampo to subdue a demoness who prevented the spread of Buddhism—in Buddhist mythology, Kyichu Lhakhang pins down her left foot. Inside, fine statues of the Bodhisattva and the Buddha are considered national treasures. The wooden floor of the temple is inlaid with turquoise and coral gemstones offered by pilgrims. We may also have time to do some last-minute shopping before saying farewell to this most captivating country. Our Himalayan sojourn concludes as we depart from the Paro airport on a group flight to Bangkok, where we connect with onward flights.